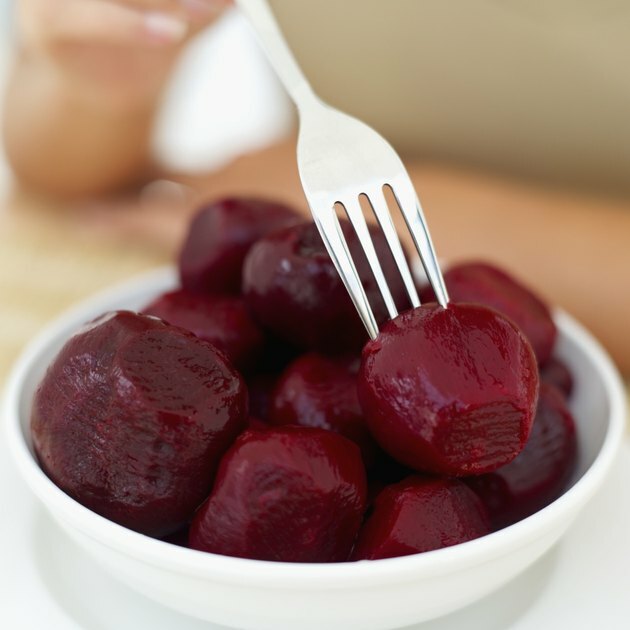 Are Beets Good for Losing Weight? The beet is a root vegetable similar to its turnip cousin. Beets are a good addition to your weight-loss program because they contain no fat. A powerhouse of vitamins and minerals, beets help maintain a healthy energized body beneficial to your diet. Beets may assist your weight-loss by lowering cholesterol due to their high fiber content. Calorie density, sometimes referred to as energy density, is the measurement of calories per weight of food. Eating food with a low calorie density will make you feel full on fewer calories. Half a cup of sliced cooked beets contains 37 calories, considered an average calorie choice, according to the USDA National Nutrient Database. 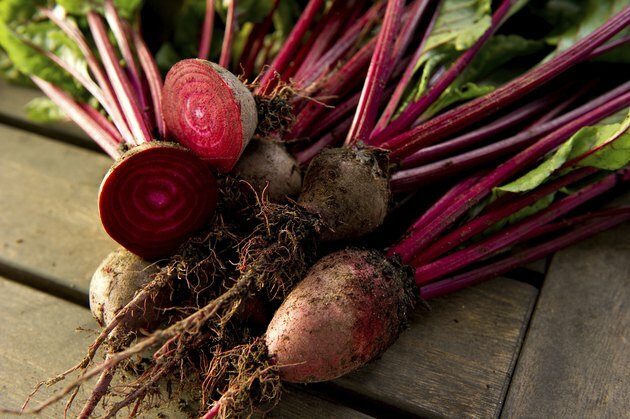 Beets contain no cholesterol or fat and are packed with nutrition. Food Reference.com states that beets provide 6 percent daily value for vitamin C and 2 percent DV for calcium. Beets contain 55 milligrams of sodium per half cup, which is 2 percent of your daily recommended value. 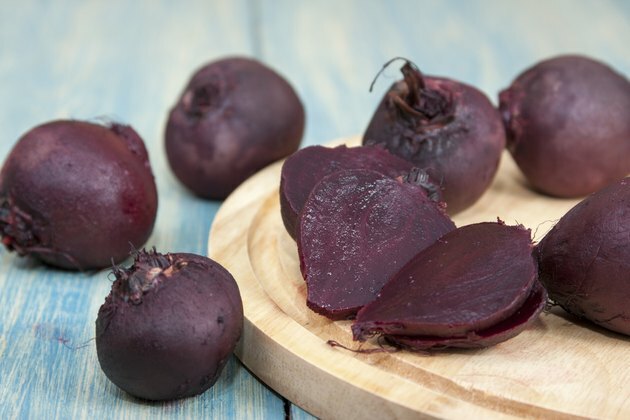 The U.S. National Nutritional database lists half a cup of sliced cooked beets as containing 20 milligrams of magnesium, 32 milligrams of phosphorus, 259 milligrams of potassium and 0.67 milligrams of iron. Beets are rich in folate, which prevents birth defects such as spina bifida, heart and brain abnormalities, according to the National Institutes of Health. 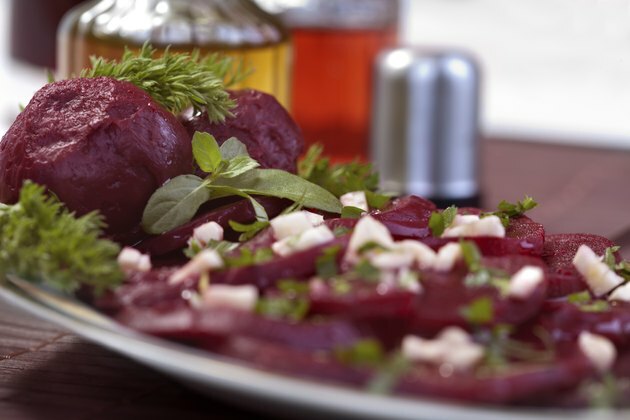 Beets are a good source of dietary fiber, half soluble and half insoluble. Both types play roles in fighting fat by maintaining proper bowel function and lowering cholesterol levels, advantageous for weight loss. 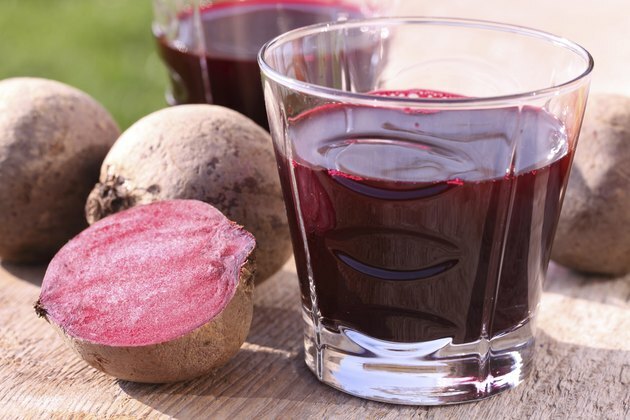 In an animal study by the Research Institute of Nutrition, Slovak Republic, red beet fiber lowered cholesterol by 30 percent, reduced triacylglycerol 40 percent and increased HDL cholesterol levels. The National Institutes of Health reports that the recommended intake of fiber is between 20 and 35 grams for older children and adults. A 1/2-cup serving of beets contains 1.7 grams of fiber, which will put you closer to your daily fiber intake goal. Science Daily reported that drinking a glass of beet juice could lower blood pressure. Researchers at Barts and the London School of Medicine found that blood pressure was lowered within one hour of consuming beetroot juice and continued to drop for three to four hours after ingestion. Prof. Amrita Ahluwalia, leader of the study, suggested that drinking beetroot juice might not only lower blood pressure but also maintain a healthy cardiovascular system. There are many types of beets, and they can be eaten raw, boiled, baked or pickled and served as a vegetable with an entrée, in salads or in soups and casseroles. Scrub beets well before cooking. Beets are easiest to peel once cooked, but wear disposable gloves to avoid stained hands. To retain juices and flavor, bake or microwave sliced beets. Season beets with olive oil, lemon juice or fresh herbs. 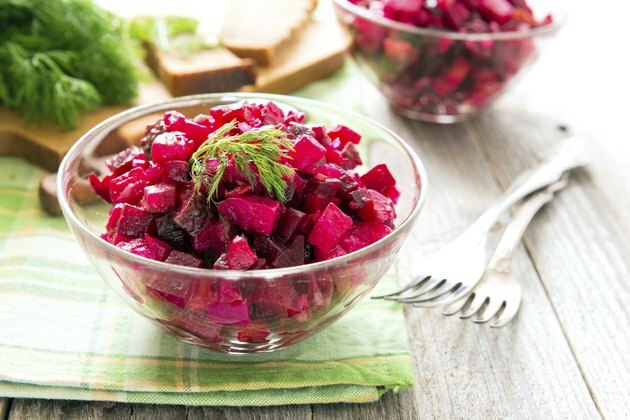 Chilled beets can be sliced or julienne-cut and tossed with a vinaigrette dressing. Combine with sliced cucumbers and any other favorite vegetable for a colorful slaw or salad, suggests FoodReference.com. What Is the Nutritional Value of Beets?